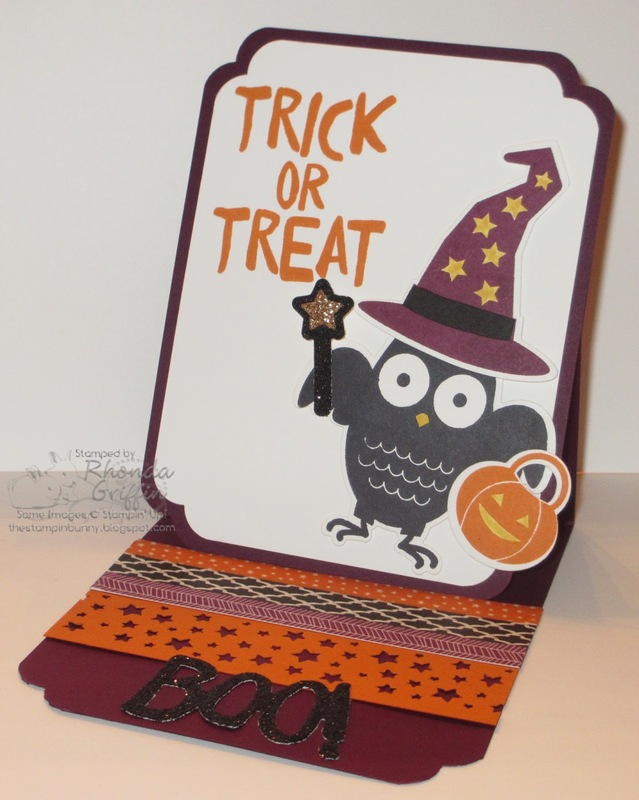 Our Easel of the month for September will use the Howl-O-ween Treat set with the whimsical owl. 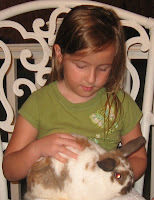 This little witch has a bit more depth than it appears in the photo. It is so easy to pop up different pieces with the Boo To You Framelits. I especially liked using Black and Gold Glimmer paper for the wand. 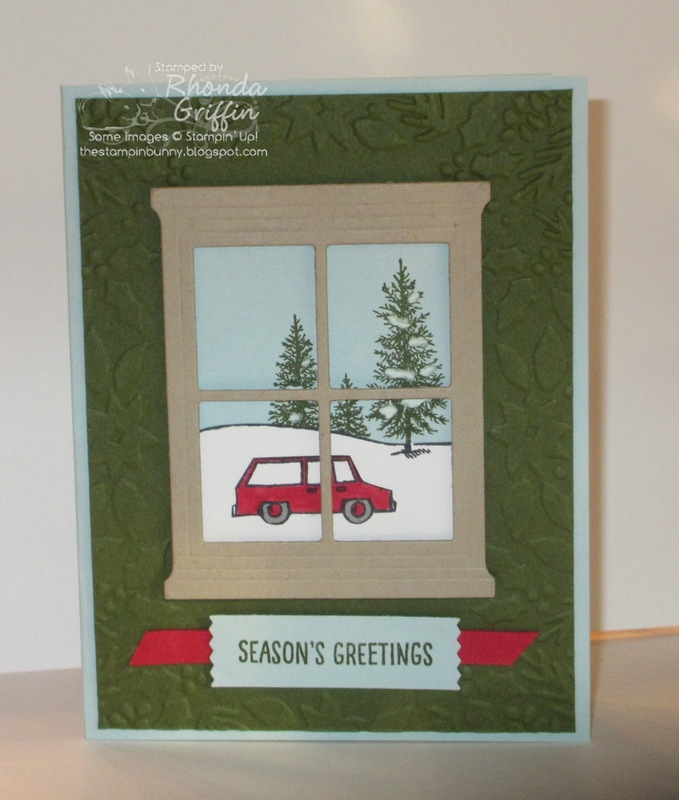 I used the Curvy Corner Trio Punch for a slightly different shaped Easel. We'll use each of the Happy Haunting Designer Washi Tapes though I cut the edge off of the Rich Razzleberry tape for a more pleasing design to my eye. Hi again friends! You are welcome to join us as we hop through the fall themed items in the new Stampin' Up! Holiday Catalog. I loved the catalog this year! Should you get lost or need to see a list, here is the chat thread on Stampin' Addicts. 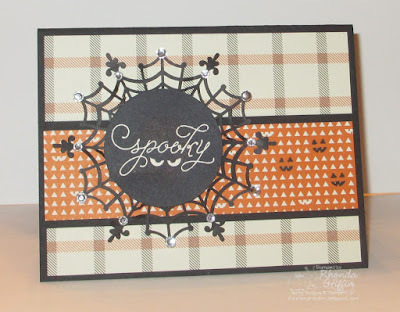 I know you enjoyed seeing Paula's beautifully detailed creations with the Witch's Night stamp set on Stampin' With Paula. Such fun designs! I'm showing the Among the Branches set this time. It has a lot of possibility, and I've really enjoyed using it. First is this Square Pillow box embossed with the Woodland textured embossing folder. I think this would be a fun holder for a hostess gift at Thanksgiving or for favors on each person's plate. I just added the Into the Woods Rich Razzleberry Ribbon and the Into the Woods Elements after stamping the Very Vanilla and adding a bit of Chocolate Chip to the tree trunks. 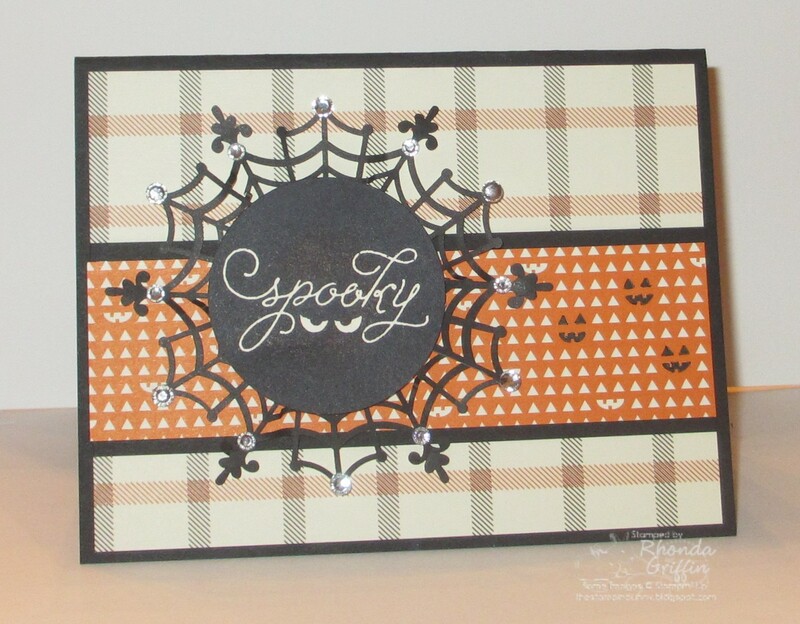 Next, I wanted to try a Halloween card with an unusual color scheme. Well, this ~really~ is different. I also think the yellow eyes are super creepy. Then, I used the MOJO Monday sketch for this week, (MOJO 412) and cut down a spider web doily to a size I preferred by taking out the middle and overlapping the edges. (It was also necessary to fold the web before each fleur de lis point.) I love the effect that creates because the web doesn't stick flat...it is more wispy. There are 1/2 glue dots under each fleur de lis point. I colored three Jack O'Lanterns in the Happy Haunting Designer Series Paper for added spookiness. :) A few rhinestone bling add a fun sparkle. 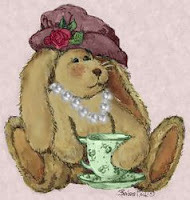 Now, it is time to hop over to Twila's Stamp A Little Longer blog to see her creations with the A Little Something set. Have fun, and we hope to see you on September 25 for the Winter Holiday Catalog Hop! I'm going to use this card as one of my Alternative Christmas cards for my church. The charity I create cards for is Edmond Mobile Meals, so I thought this fit well with that idea. It was nice anc quick to make the snowy scene by just stamping twice and cutting along the horizon. Then I added a little snow to the trees. I did cut out the cars, but they are easy since there are several nice straight lines. 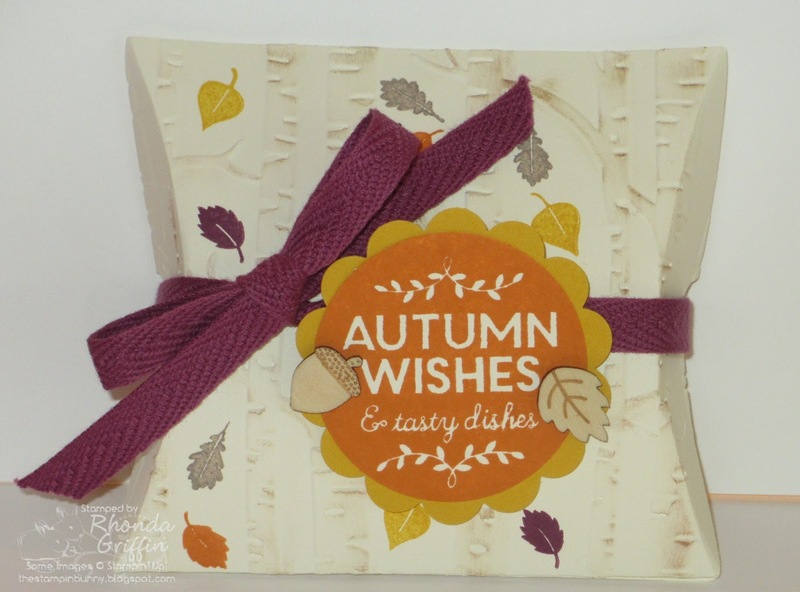 The Boughs and Berries Embossing Folder is slightly longer than we are accustomed, but it made a nice spot in which to put the greeting at the bottom on this regular 4.25" X 5.5" card. For class this month, we made treat bags using that die and the Cherry on Top Designer Series Paper Stack. I think it was a quick and cute project, and I usually don't just clothes pin things to hold them onto the main layer, so I tried a little weirdness there. 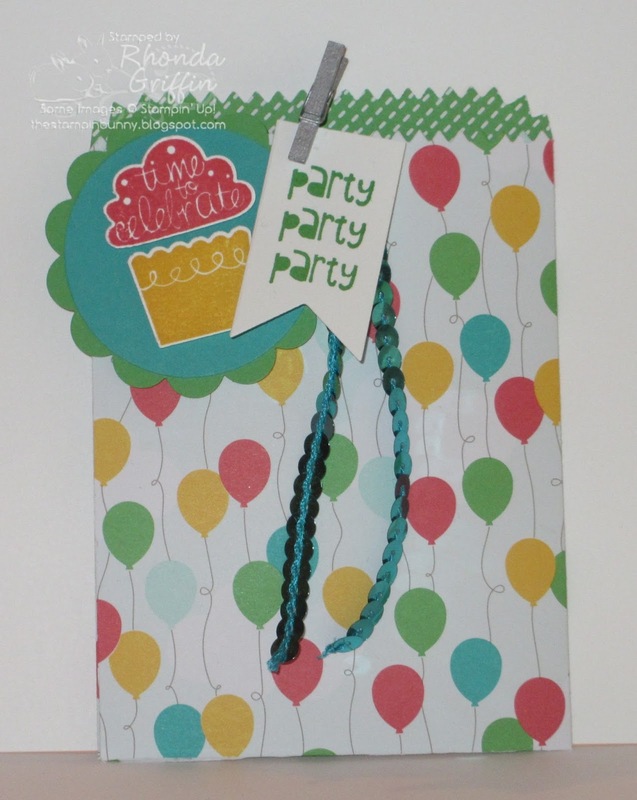 I imagine a ton of possibilities for these treat bags....gift card holders, goodie bags or envelopes for cards....LOTS of choices. This Fall Easel card is a combination of the hardwood background made into a fence with my attempt at a Sunflower with the petal from the Flower Fair Framelits. We always make cards for others, but I made this one for my desk at my part time job. :) You could use another sentiment of course. If you need a Get Well card, I think "Happy Healing" would look great. 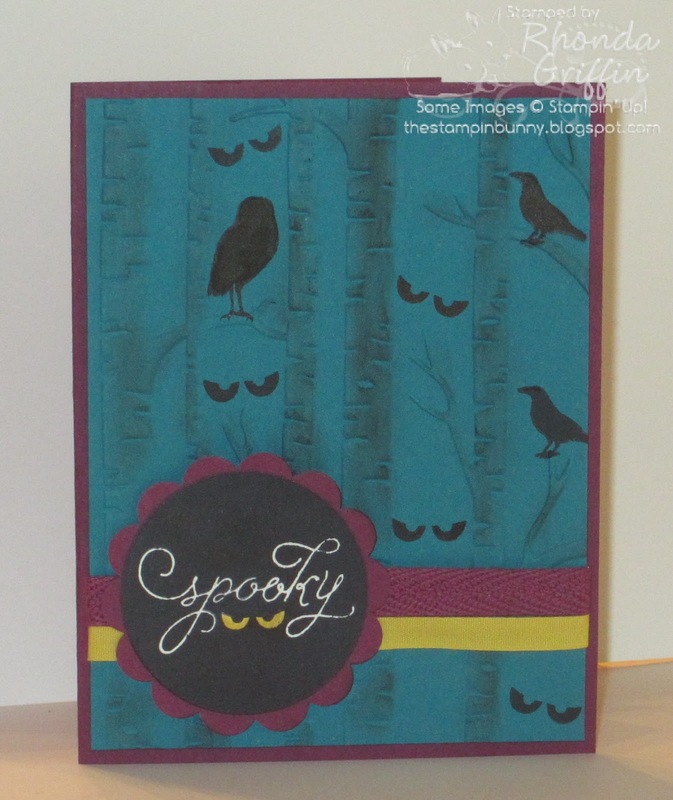 I was inspired by a lovely swap card I received from Stampin Up! 's convention. It was Cherry Cobbler bleached to Very Vanilla, but it didn't have marker added. It was very pretty...Thank you unknown fellow demo! I really like the way Marina Mist bleaches to a pinkish white that looks nice with Pink Pirouette cardstock. 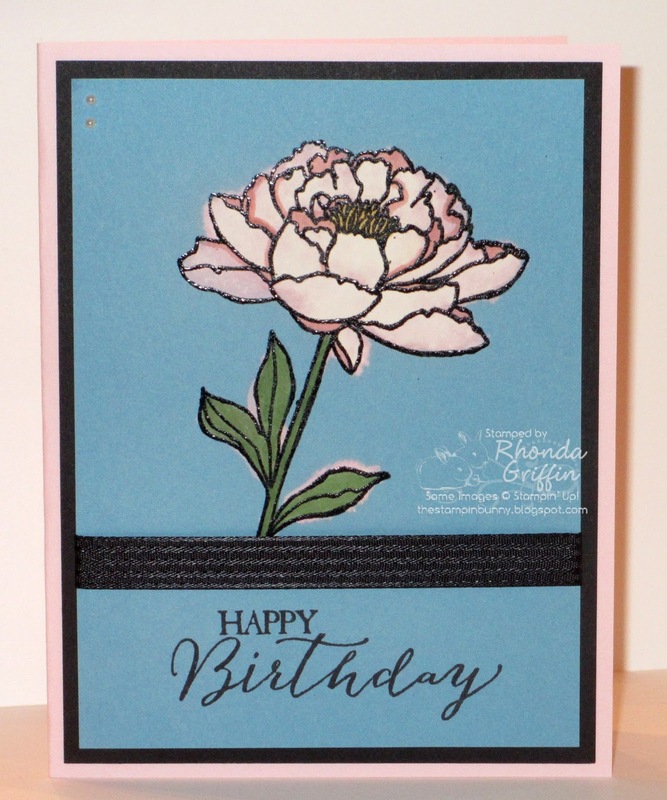 I actually used a Blushing Bride marker to add more color to the blossom, but I think it blends nicely.